At the end of the month, I'm going to be celebrating my 6 year blogging anniversary. That in itself is enough to send me over the edge -- I never thought I'd be blogging consistently for six years. It's quite the milestone in my opinion. Over the past six years, I've tried all different techniques to help propel my blog to the next level. I'm all about organization, making my life easy, and making sure I'm using the best items to help me make the best content I could. Within the past six years, I've seen my fair share of blogging tools, tips, and tricks to make the most of your content but right now, in 2018, I have found the tools that work best for me. I'm sure if you're a blogger, you've heard of these (I'm definitely not reworking the wheel here) but I just had to share! Tailwind: This is the best Pinterest tool out there and everyone from brands to top influencers to micro influencers are using it. It's $15 a month and I've done the free version, but it's definitely worth it. For a time there, I was getting tired of spending the monthly fee so I canceled my membership. However, I quickly resigned up because I saw a dip in traffic and realized that it made my social strategy much better. I was basically lost without it. All you do is schedule your Pinterest posts and Tailwind will send it out to the boards you picked at the right time to maximize views. 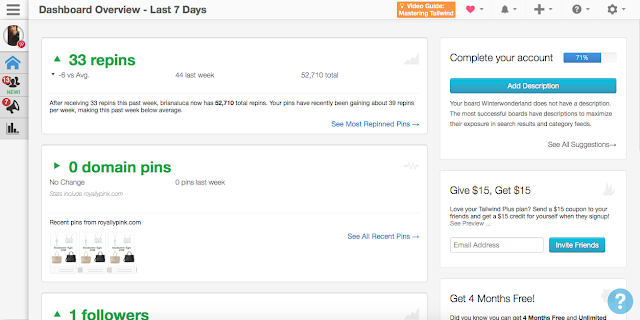 It gives you all sorts of analytics and has a lot more features that I really need to take advantage of. Pinterest has always been my #1 traffic source because it's essentially a search engine, not a social media platform so if you aren't using Pinterest, you have too! *I just discovered Tailwind Tribes which is basically like a huge group board directly on Tailwind, which will directly help your pins show up in front of more eyes. It's wild and maybe I'll do a whole post on this! Planoly: As a social media manager, I understand the importance of crafting the perfect Instagram post. I think before my job, I didn't really play into the Instagram game with my blog. I kind of just crafted an Instagram photo and threw it up. What changed that, besides the industry, is Planoly. Before this app, I didn't really have a way to plan out content, without paying for a subscription to something. Planoly has completely changed that. 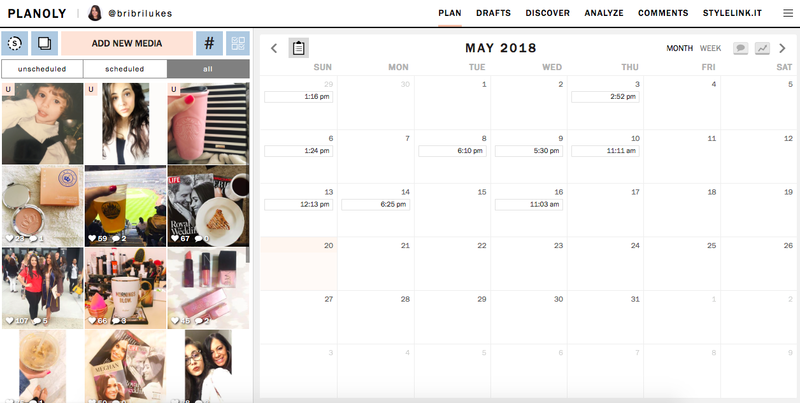 It is a scheduler/planner for Instagram, has deep analytics, and an amazing blog with so many resources for influencers/bloggers/social media professionals. What I mainly use this app for is to schedule my Instagram photos, and also seeing what a photo will look in my feed before actually posting. It's really helpful in planning out content for campaigns or sponsored posts because you can schedule the posts and kind of forget about it until the push notification pops up on your phone! I love that you can store your hashtags so you don't have to write the hashtags out for every post. 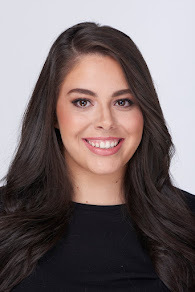 I have a beauty hashtag group, everyday group, and books. I should add more and will eventually! If you want to up your Instagram game, please go check out Planoly! Google Docs/Sheets: This is a new addition to my blogging tools routine and I've been loving it. I have countless notebooks that I use for blogging but digitally, I would just use my Notes app that comes with the Macbook. However, I started running into issues because I would want to reference something that was in those notes but I was away from my computer. I started using the Google Docs/Sheets for my editorial calendar, blog ideas, brand outreach, and everything in between and it's been life-changing. I love being able to reference things on the go and I feel so much more organized. It's amazing and I highly recommend! What are your favorite blogging tools?